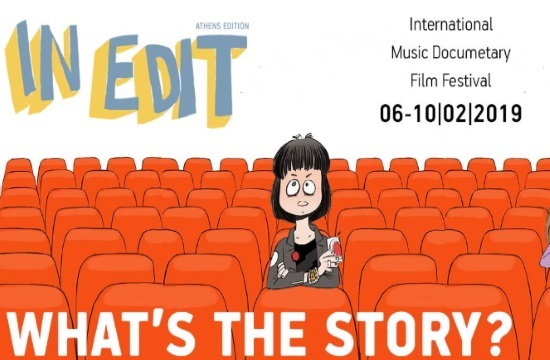 This year’s In-Edit Festival world tour commences in Athens at the ASTOR cinema, before continuing his tour in Amsterdam, Berlin, Rome, Buenos Aires, Thessaloniki, Santiago, Bogotá, Rio de Janeiro, London, Madrid and Barcelona where it began 16 years ago, int.ert.gr reports. This major international music documentary festival takes place in Athens from February 6th to 10th and features some of the best and latest documentaries. The festival kicks off with the documentary “Elvis Presley: The King” by Eugene Jarecki, a music road trip with Elvis, while “Blue Note Records: Beyond the Notes” will close the event. This year’s program includes documentaries about John Lennon and Yoko Ono, Radiohead, Eric Clapton, M.I.A., Joe Strummer of the legendary Clash as well as films for various musical genres such as Ethiopia’s music soul scene and the queercore punk movement. In addition to the screenings, festival viewers will have the opportunity to attend to concerts, presentations and DJ sets.